(Palo Alto, Calif.) – Environmental activist and author Dr. Vandana Shiva, National Geographic photographer Joel Sartore and CNN political commentator and environmental justice advocate Van Jones are the trio of speakers for the POST’s 2019 Wallace Stegner Lecture Series, which is now in its 27th year. Subscription packages for all three lectures are on sale through November 18, 2018. The three speakers will address the theme of “Change & Resilience,” focusing on how their work has inspired action across diverse social groups and engaged them with the issues surrounding environmental resilience in a changing climate. All lectures will be held at the Mountain View Center for the Performing Arts. 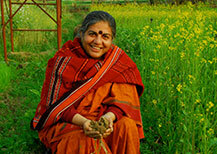 The series kicks off with environmental activist and author Dr. Vandana Shiva on Tuesday, February 12. Dr. Shiva is an advocate of a more equitable and sustainable food system that uses indigenous knowledge and a wide array of crops. She sees a return to natural and organic methods of farming as a solution for both food insecurity and climate change. 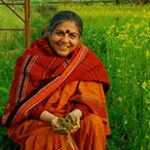 As a founder of the Navdanya Initiative, she has established seed banks and programs throughout India to teach farmers organic techniques. In her lecture, Dr. Shiva will touch on the connections between sustainable agriculture and conservation, linking intersectional feminism with environmentalism. 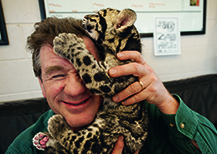 The series continues on Tuesday, March 12 with National Geographic photographer Joel Sartore. Sartore is an award-winning photographer who has travelled the world documenting wildlife for more than 25 years. 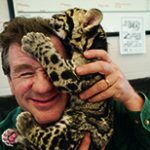 In 2006, he launched the Photo Ark project to document 12,000 species in captivity worldwide before they disappear. He hopes to inspire people to fall in love with these animals and join in conservation efforts to protect them. Sartore’s lecture will include a slide show of his most compelling images. The lecture series concludes on Tuesday, April 23 with CNN political commentator and environmental justice advocate Van Jones. Jones began his career as an activist in the Bay Area pushing for criminal justice reform, before focusing on the environment. His work promoting green jobs as an avenue to spur economic growth within disenfranchised communities earned him a spot as Special Advisor on Green Jobs in the Obama Administration. After his tenure in Washington, Jones returned to activism. He became involved in mainstream media as a political commentator for CNN, gaining recognition for his coverage of the 2016 election. Since the election, he has worked to promote civility and compassion in American politics and continues to run The Dream Corps. Series subscriptions for the whole Wallace Stegner Lecture series are available for a limited time and offer the public an early chance to secure seats, starting on Thursday, October 4 through Sunday, November 18, at www.openspacetrust.org/lectures. Single tickets will be available on Thursday, December 6. All proceeds of the lecture series support POST’s work to protect open space on the Peninsula and in the South Bay for the benefit of all. POST’s Wallace Stegner Lecture series pays tribute to the conservation legacy of Pulitzer Prize-winning novelist, Stanford University professor and ardent spokesman for the West’s wild places, Wallace Stegner. The series is supported by the Bill and Jean Lane Endowment, with additional support from Sand Hill Global Advisers, Noble & Lorraine Hancock, Wilson Sonsini Goodrich & Rosati, Pie Rach, Alex Wang Group, Fenwick & West and Embarcadero Media. POST protects open space on the Peninsula and in the South Bay for the benefit of all. As a private nonprofit land trust, POST has been responsible for saving more than 76,000 acres over the last 40 years. POST works with private landowners and public agencies to connect people and nature. Peninsula Open Space Trust (POST) protects open space on the Peninsula and in the South Bay for the benefit of all. Since its founding in 1977, POST has been responsible for saving more than 77,000 acres as permanently protected land in San Mateo, Santa Clara and Santa Cruz counties. Copyright © 2019 Peninsula Open Space Trust. Peninsula Open Space Trust is a nonprofit, tax-exempt 501(c)(3) charitable organization. Our tax identification number is 94-2392007. Donations are tax-deductible as allowed by law.